How do traditions start? On purpose or by accident? For Shane and I, shredding every year on Kirkwood’s closing day is totally by chance. While most are focused on opening day, we both try to ride until the last day the lifts are spinning. 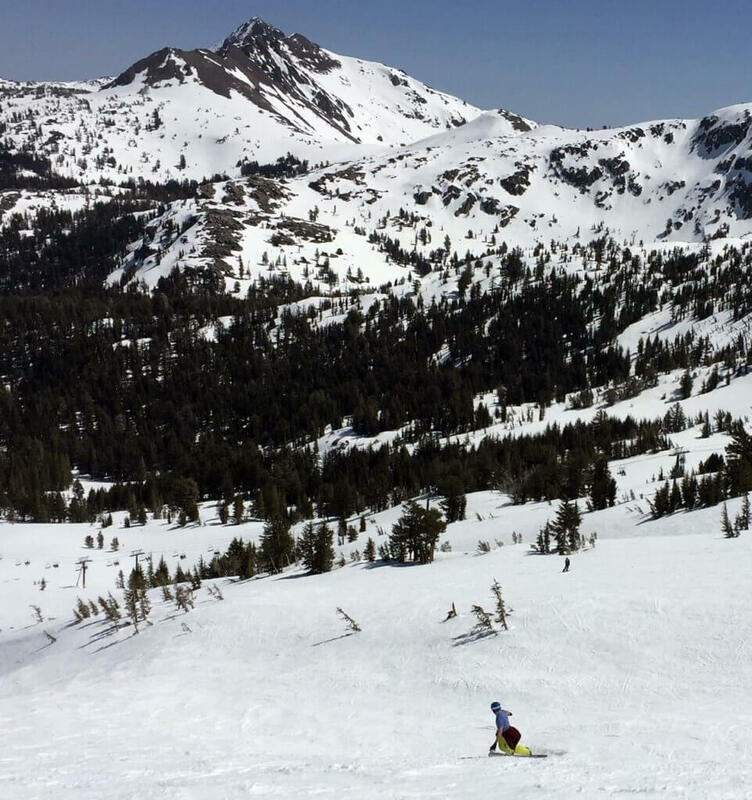 The snowpack is deep, the sun is warm, the crowds are gone and a lot of times there’s powder to be had. For this year, it was all about corn-huntin’. The plan? Shred on Saturday AND Sunday. The reality… well that was way different. Mother Nature had something else planned for us. An incredibly warm Pineapple Express was pointed directly at California. Forecasts were depressing to say the least. Snow levels of 11,000 feet and up to 6 inches of rain made sure the prospects of a good day of skiing on Saturday were washed way. 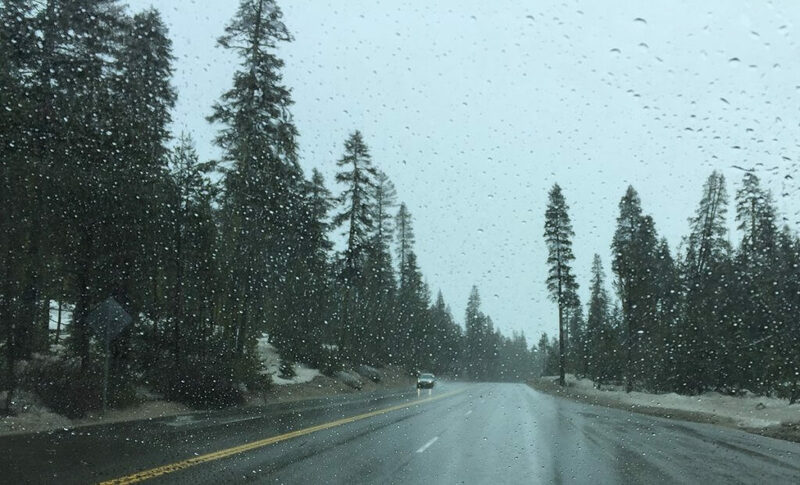 Waking up the following morning, the “Miracle March” snowpack was replaced by a gloomy April drizzle. We decided this Saturday was the perfect day to wax our boards and have a leisurely breakfast instead. The best part of Lake Tahoe is after a storm is gone it clears quickly. While waxing our boards, we looked up and saw that the drizzle was quickly replaced by sunshine. Already around noon, we decided why not pull out the disc golf gear for the first time this spring and make the most out of the day. With all the snow gone, Bijou Park was a blast and we got a quick eighteen in. 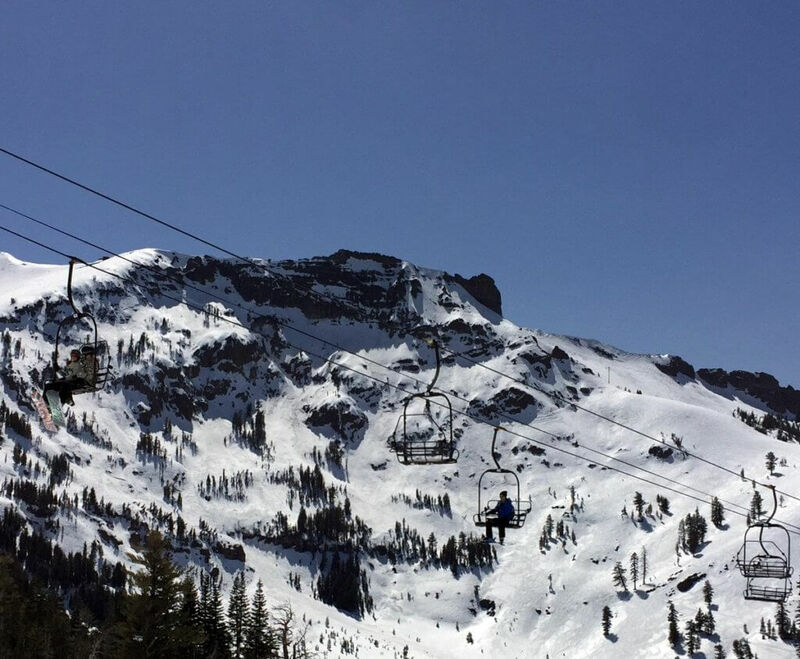 We took a glance at the snow report and weather forecast for Kirkwood. No new snow, clear skies, and a deep freeze over-night followed by a rapid warm up. That meant we didn’t need to rush to the mountain tomorrow so why not head over to South Lake Brewing for a few and keep enjoying Saturday. The next morning was game-on and the drive to Kirkwood was eerily quiet. Only a few cars zipped past us as we made the journey. Looking up from Hope Valley, the backcountry zones of Red Lake Peak & Stevens Peak looked promising for late season. We would be back later to harvest some corn but today was about celebrating Kirkwood. 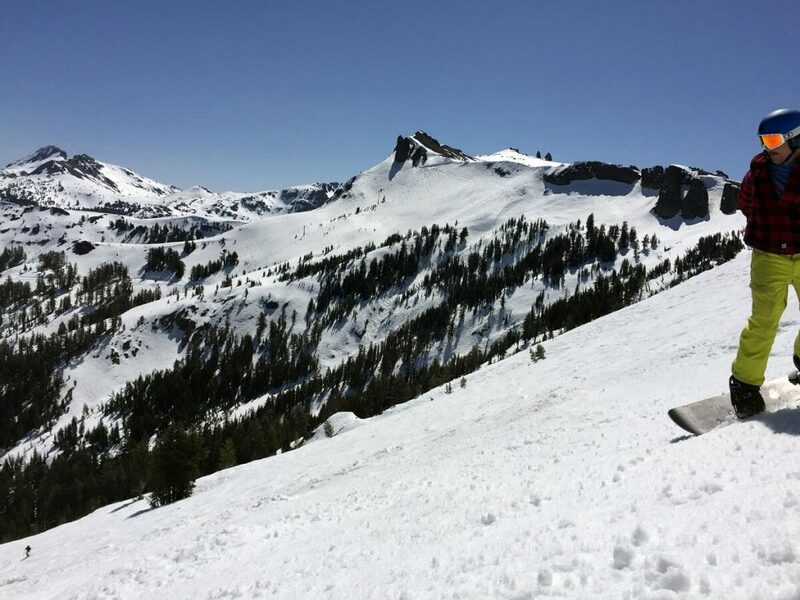 Arriving at Kirkwood Meadow, most of the snow in the valley is thin but the steep slopes of the Wood were still covered in a DEEP white blanket. Like any spring day, the first run is always a bit nerve wracking. “Has it softened or is it still boiler plate?” We come to find out that we timed it perfectly! The snow off of Chair 6 was of the corn variety. We could tell or rather “hear” from the scraping of other’s edges against boiler plate that any north facing slopes would be a no-go. It was all about finding the sun baked terrain today. Shockingly, Chair 4 is open so we make a bee-line directly over there and find the best conditions on the mountain. The huge open bowls are filled with soft buttery corn. Each person we meet on the lift is just happy that the rain is gone and we’re able to enjoy some sunshine and corn snow. One of the lift-goers points over to Sunnyside and says that’s the best conditions on the mountain. Requiring a short hike, we decided to venture over to see if its truly as good as he says it is. Standing up on top, we drop in hesitantly. Making a few turns, we come up to a line of rocks blocking us from entering the face. Suddenly we find a small chute to enter. Shane drops first and lets ‘er rip. I hear a loud “YEEEE – HOOO!! !” as he takes big turn after big turn. I drop in next. Words cannot describe how good the snow is. A blank canvas, this corn is of the backcountry variety. Laying in a deep carve, it feels like you’re surfing the mountain. I can’t hold myself back and also let out a loud “YEEEWWWW!” We lap it a few more times until we can feel the snow beginning to harden back up. It’s beer o’clock time so we head over to our favorite local haunt 7800’. While drinking a beer on the patio, we both look up at The Wall of Kirkwood. Loud BOOMS echo across the valley as they shoot avalanche guns off each peak to signify the end of the season. Suddenly the old bartenders’ last call anthem comes to mind “You don’t have to go home but you can’t stay here.” Sure, we couldn’t stay today, but we would be back. The weather forecast is looking good for the next few weeks. Multiple cold storms could deliver up to a foot of new snow. While they might shut down the lifts, they won’t stop us from getting one more day of powder on this glorious mountain. Until then, it’s time to head to Sierra-at-Tahoe.